Visit the Able Archer Sourcebook for the most comprehensive collection of documents on the 1983 War Scare. Nate Jones, the National Security Archive’s FOIA Project Director, requested a British joint intelligence committee document “that would shed fresh light on how Britain and the US came close to provoking a Soviet nuclear attack” in 1983 over a year ago. The Guardian reports that the British Cabinet Office, however, is continuing to block its release despite: the US’s release of thousands of pages of documents on the crisis; the UK’s vaunted 20-year-rule; and Michael Herman’s – former head of GCHQ’s Soviet division – call for the document’s release. 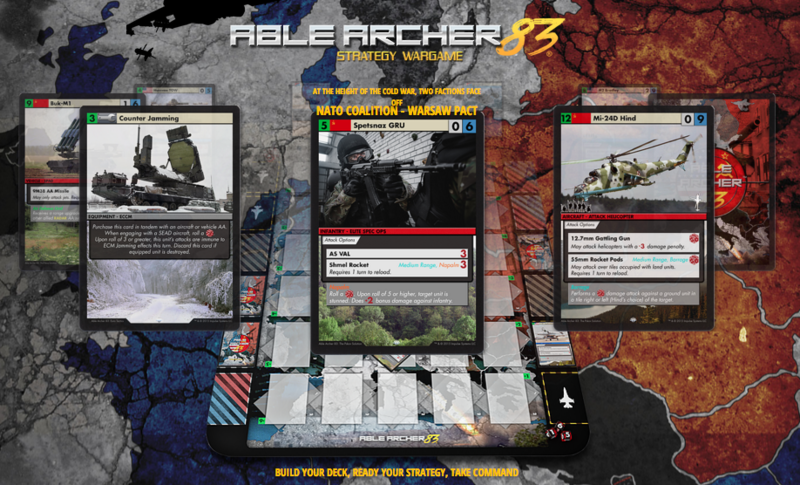 At least we can now play Able Archer 83, the “expandable strategy card game where you take command of a strategic cold war power and face off in a simulated military exercise against enemy forces” while we wait for the British Cabinet Office to uphold transparency and declassify this key document. The FOIA Advisory Committee’s latest meeting (held October 20 although the video was only made available recently, raising concerns that technical issues are hampering the Committee’s potential influence) tackled, among other things, OMB’s outdated and incomplete FOIA fee guidance. 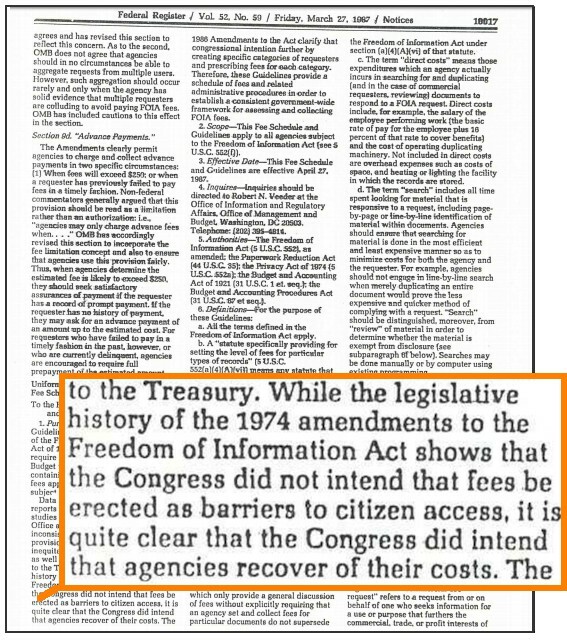 OMB’s guidance to all agencies on when and how they can charge FOIA fees dates from 1987 – well before the Internet Age and agencies’ ability to send FOIA responses via email – and is missing a key word. The Committee voted a formal “show of support” to recommend to the Archivist that he advise OMB to update its Fee Guidance, language for which will be provided in advance of the January 19, 2016 meeting. Other highlights from the meeting include discussion of the fee subcommittee survey, which was only given to government agencies (ostensibly because “logistical problems, problems about doing polls and publishing results” made it impractical to distribute a similar poll to the public). The National Security Archive and the Project on Government Oversight will soon distribute a similar, independent, unofficial fee survey to non-government FOIA stakeholders so that their views on FOIA fees can be cataloged and documented. A bipartisan congressional investigation has uncovered “a half-dozen previously undisclosed security breaches” at the White House since 2013, leading lawmakers to call the Secret Service an “agency in crisis”. The most eyebrow-raising finding involves new details of a September 27, 2014, Black Caucus Foundation’s awards dinner in which a man posed as Rep. Donald Payne Jr. (D-N.J.) and was escorted to meet the president. The report notes, “The agency’s recent public failures are not a series of isolated events, but the product of an insular culture that has historically been resistant to change”. Compounding “systemic mismanagement”, the agency is suffering from a “staffing crisis”, operating with only 6,315 agents – the lowest number personnel in a decade. Unsurprisingly, a recent Best Places to Work in the Federal Government poll found that only a third of Secret Service officers are happy with their job and would recommend it as a good place to work. Mark H. Grunewald, James P. Morefield Professor of Law at Washington and Lee University School of Law, is undertaking a FOIA Oral History Project. The project seeks to document, through a series of individual interviews, the history of the implementation of the Freedom of Information Act by federal agencies, with a view toward having at least the first phase of the project completed by July 4, 2016, the 50th anniversary of the Act’s passage. If you are interested in providing voluntary feedback to Professor Grunewald you may contact him directly at 540-458-8526 or grunewaldm@wlu.edu. Please note that it is especially helpful if you have had frontline supervisory/ leadership responsibilities for FOIA implementation below the political level. 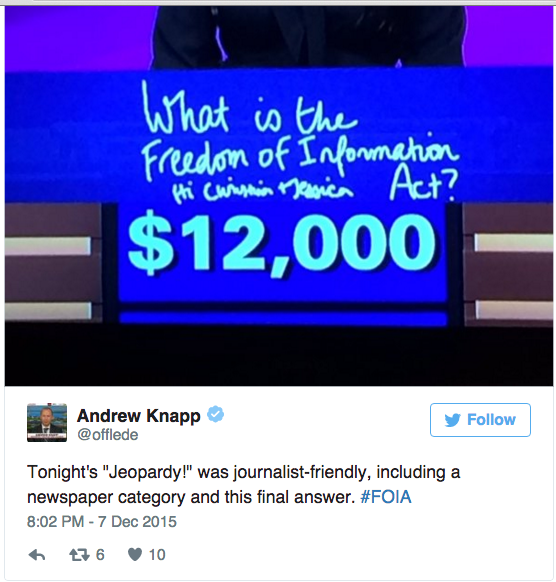 December 7th’s Final Jeopardy clue was “The website for this ’60s act says “First look to see if the information you are interested in is already publicly available”. The answer? The Freedom of Information Act, of course! FOIA Advisor’s Kevin Schmidt highlighted FOIA’s pop-culture moment here. This week’s #tbt document pick is a 2003 posting on Nixon’s historic February 1972 trip to China, which includes Kissinger’s intelligence briefing to the Chinese and the complete texts of Nixon’s conversations with Zhou, including the assurances on Taiwan. I would love to know what questions are on hand for the oral history project.